Rare find with lots of land & close to IL boarder! 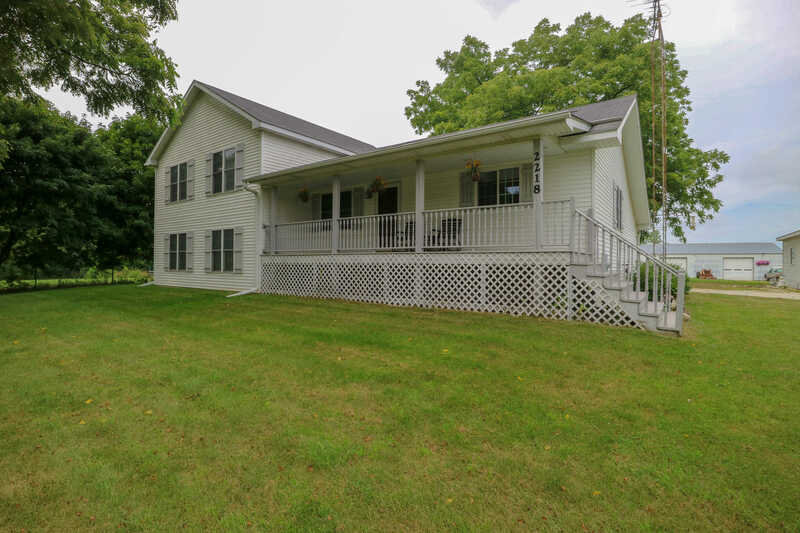 This updated farm house with large front porch offers lots of upgrades and charm. It sits on 47.66 acres, which 35 acres are zoned as agricultural! Low on property taxes, lots of field space and woods for hunting, trails & privacy. 2 stall detached 24’X24′ garage and 36’X63′ pole barn! Been in the family for generations. All in 2002: addition put on house, updated kitchen, electrical & plumbing upgraded, 2 sump pumps, furnace & A/C, vinyl siding, pressure tank, main beam & patio. 50 acre neighbor to the East & conservancy to the West. Great location to get away from it all! Buyer’s proof of funds or pre-approval letter required to schedule private showing. 1 yr buyer Home Warranty included. Please, send me more information on this property: MLS# 1598793 – $4,800,000 – 2218 128th St, Pleasant Prairie, WI 53158. I would like to schedule a private showing for this property: MLS# 1598793 – $4,800,000 – 2218 128th St, Pleasant Prairie, WI 53158.